Studio made base of massive bronze sculpture form inspired by the work of Henry Moore. This piece is all handmade with a unique patina that is also hand applied by the artist. 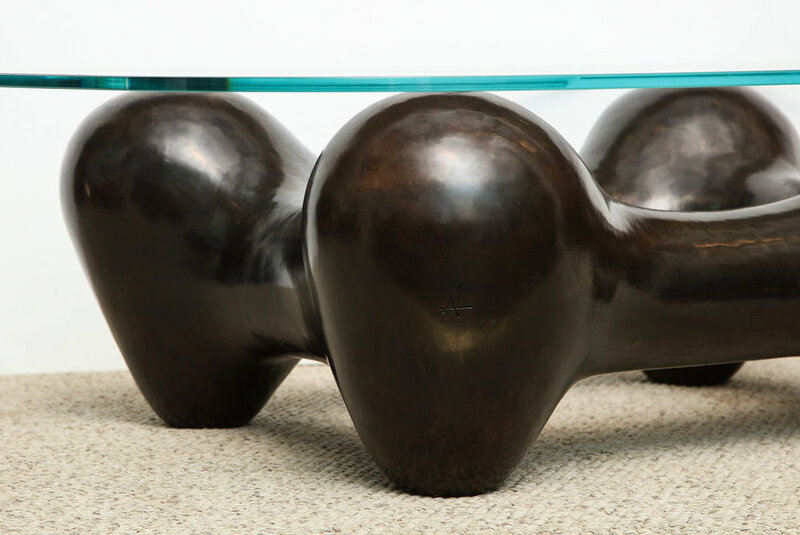 This table can take many different sizes and shapes of glass tops. Offered in an edition of 8, every piece will be signed and numbered. Allow 12-15 weeks lead time. Glass top 54" x 40"